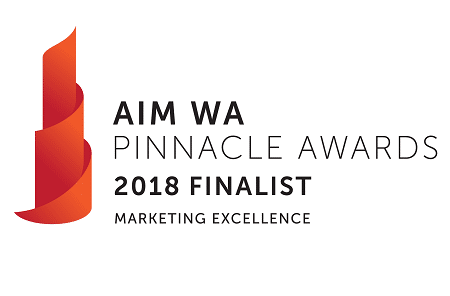 Blueprint Wealth has been shortlisted as a finalist for the 2018 Australian Institute of Management in Western Australia (AIM WA) PRINTSYNC Marketing Excellence Award. AIM WA recognises exemplary business leadership of individuals, teams and organisations in the Western Australian community. The awards reward organisations across the corporate, government and not-for-profit sectors in Australia that have a significant footprint in Western Australia. The Marketing Excellence Award recognises organisations that have demonstrated skill and ingenuity in business leadership. The 2018 Pinnacle Award winner will be announced at the AIM Gala Dinner at The Westin on 21 March, 2019.